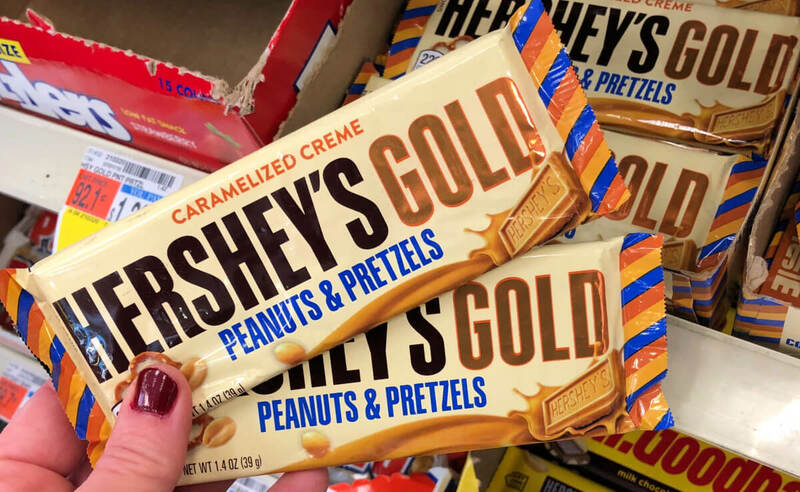 Hershey’s Gold Peanuts & Pretzels Single Candy Bars Only $0.27 at CVS! Be sure to treat yourself to this sweet deal! 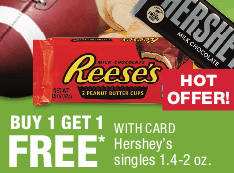 Now through 1/26, CVS has Hershey’s single candy bars 1.4 oz. 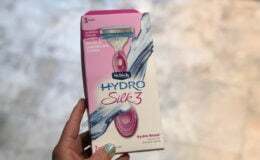 – 2 oz. on sale Buy 1, Get 1 FREE. Included in this offer is the Hershey’s Gold Peanuts & Pretzels 1.4 oz. single candy bar, which is priced at $1.29 in my local store. You can pick these up for only $0.27 ea. after coupon….what a SCORE! Remember to check your CVS app for special offers and discounts and scan your Extra Care Card at the Coupon Center in store…..you never know what surprises you might find there! 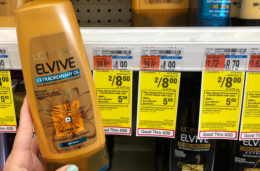 LOreal Elvive Hair Care Only $1.00 at CVS! Barbasol Shaving Cream Only $0.89 at CVS!